The three of them leave Rolbos directly after Henry’s declaration of love. It didn’t go down all that well. Henry expected Fanny to swoon and take him in her arms – but she sat, neutral-faced, to listen him out. Afterwards she said it was a well-prepared speech thank you very much, smiled shyly, and said she’d think about it. Of course that’s true; but not in the way Henry Hartford III would have guessed. Vetfaan then said Henry needed appropriate clothing for the trip and literally dragged him off to Sammie’s Shop. Within thirty minutes, Henry cut a completely different – if a bit comical – figure. 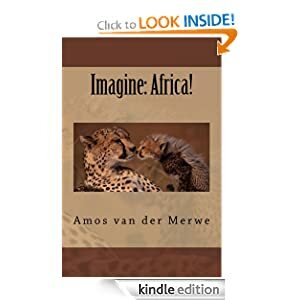 Dressed in the short khaki pants, a green shirt and a proper veld hat, he seemed to have shrunk. The long, brown socks and shiny boots completed the picture. Fanny hid a smile and said he looked like a real game ranger. It cheered the Englishman up somewhat. Now Vetfaan is heading down the two-track road to !Ka’s tree. There isn’t a lot of space for them all in the pickup, so they sit squeezed together on the seat, Henry in the middle, and all of them equally aware of the uncomfortable silence. Vetfaan has retreated into the man-cave in his head, Henry is trying to figure out how he must get rid of Vetfaan eventually, and Fanny prays secretly that this ordeal must pass as soon as possible. 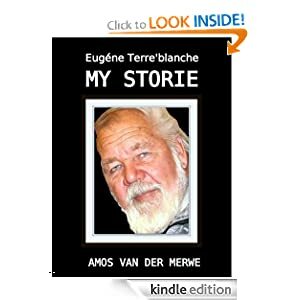 She knows Gertruida tried to talk to Vetfaan, but he simply held up a hand and said he knew what he was doing. The firm set of his jaw told everybody to back off. When Vetfaan has that look, you don’t argue. It’s like tap-dancing on the edge of a volcano..
Henry blanches. “I-I’n not big on sausages. Really. Too many reports on horsemeat and such. I’ll have a Roquefort green salad though, maybe with capers and a poached egg?” Hopeful voice of a spoilt child being petulant. They reach the lone tree with an hour to spare before sunset. Vetfaan sets up a make-shift table for Fanny to work on, unfolds the three camp chairs and starts with the tents. He brought two: one for Fanny, one for him and Henry. The dome tents aren’t roomy, but can accommodate two with ease. By the time he’s finished, Fanny displays her salad with pride – it looks great and he tells her so. “Where’s Henry?” Vetfaan scans the area. “He said he’s going to find some wood for the fire.” Fanny points to the zig-zagging figure in the gloom some distance off. A slightly dishevelled Henry makes his way back. “You could have told me,” he snarls. He shouldn’t have done that. Something inside Vetfaan snaps so loudly he thinks the others can hear it. Henry sits down, ashen faced, during Vetfaan’s little outburst. “Yes Henry. I spoke to my father. He said you were missing…and told me about the rest. Everybody’s worried, Henry. What did you do…?” In contrast to Vetfaan, Fanny’s voice is soft and without malice. She’s trying hard to understand the situation, wanting to figure out how a financial genius can turn into a cold-hearted crook. Henry accepts the glass with shaking hands. In the soft glow of the setting sun, the fire casts a little yellow circle of light, making the shadows of Henry’s eyes look ominous, scared and … dead at the same time. Maybe it is the stillness of the evening, or the remote loneliness of the spot, maybe even the Cactus – but once Henry starts talking, he doesn’t seem able to stop. “I-I did it for you, Fanny. H-had to try to impress you, see?” In A small-boy voice he tries to explain how inferior he felt and how his insecurities forced him to do something so extraordinary that his peers would bow before his formidable feats. “Ever since I was a boy, I wasn’t good enough. I had to be the best. And I worked and I worked till I got there. Only then did my father accept me – before that, he simply saw me as work in progress. No love. No compassion. Henry Hartford III, the haughty product of wealth and discipline, is crying copiously now. Years and years of internalisation finally broke through the chained doors of his solitude when he – at last – found he could say the unsayable. This time, it isn’t Fanny who comforts him. It is the heavy hand of Vetfaan that finds its way around the shaking shoulders of the pale Englishman. Sometimes words have a way of wrecking a perfect moment. 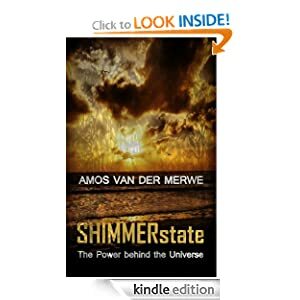 Now, as the bright Kalahari skies get speckled with a million bright stars, the three of them remain silent for a long time. Vetfaan sleeps fitfully while he digests the evening’s events. 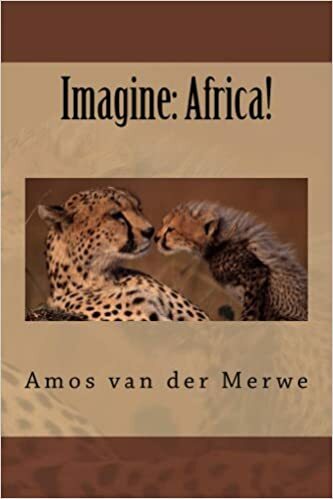 When he finally got the sausages on the coals, real boerewors, the aroma tempted Henry so much that he had a tentative bite – and then ate almost half of their supply. Now, this – the sudden hunger on Henry’s part – bothers Vetfaan. The man was so distraught, so in tears, the one minute; and then suddenly he overcomes his fear for horsemeat and eats like a pig. How much of the confession was genuine? Or is Henry such a good actor? In her tent, Fanny also finds herself in a quandary. Henry – dear, uncertain, reserved, stoic Henry – is not somebody who allows his inner feelings to show. For him to be so emotional in front of Vetfaan … well it shows remorse, doesn’t it? Real sorrow? And did not !Kung teach her to forgive once somebody bares his soul? But how? How does one forgive a crime so deliberate and so big? Just forget about it? Vetfaan wakes up at dawn to find Henry’s bed empty already. When he crawls out of the tent, he si surprised to see Henry next to the fire, poking the embers to flames again. “Morning…” Vetfaan isn’t sure how to approach the man any more. “Ghud mawning.” The accent is back. Vetfaan rubs the sleep from his eyes. Last night this man was apologetic, extremely emotional and full of remorse. And now – where did this come from? We all know Vetfaan, the quiet, sometimes naïve man with a kind heart and a generous ability to roll with life’s punches. Now, however, his eyes blaze with fury. There’s murder on his mind. He picks up the water bottle. Clenches his teeth. 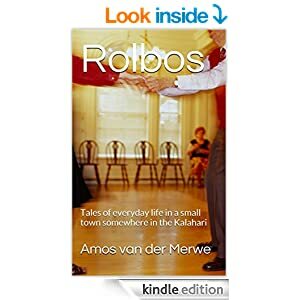 This entry was posted in smalltown short stories and tagged love, relationships, sociopath on April 25, 2013 by Amos van der Merwe. I have faith in Vetfaan. I hope Fanny gets the opportunity to sort him out, in her own way. Vetfaan will think of something, and Fanny has some kind of inherited telepathy, doesn’t she? She” connect with !Ka somehow. I knew Henry was evil, but… nice twist! Heehee – would LOVE to hear what you say tomorrow…. You have me completely hooked!